Now that the weather is getting cold, those of us using stoves and chimneys will be putting our appliances through some heavy use. In the depths of winter, you might need to have a fire going 24/7, even while you are sleeping. If you're one of those folks, you'll want to ensure your heating system has the safest and most durable components available. That way, you can relax in the warmth all winter, without worry. A fuel liner is an important component of any stove, but especially during those times of heavy or overnight use. The 904 grade solid fuel liner uses stainless steel for this twin walled system. Only the highest quality materials are used to keep your heating system safe and long-lasting. 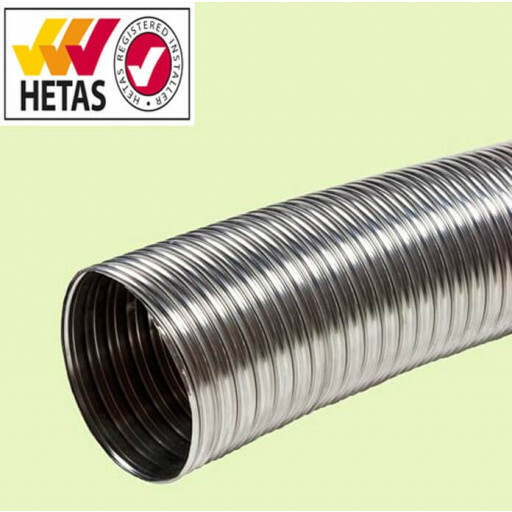 It's suitable for all heating materials, from wood and coal to gas, coke and dry peat. The durable material will stand up to repeated use and the hottest fires. The 904 grade liner is especially useful if you'll be slumbering your stove overnight. The smooth inner wall discourages the build-up of soot and ensures the steady flow of gases. The corrugated outer material will stand up to the pressures of installation and looks good with any decor. Whether you have a sleek modern home or a rustic hunting cabin, the 904 grade solid fuel liner will complement any decor while doing its job of keeping you safe and warm all winter long.